National Honor Society - FH Lancers! 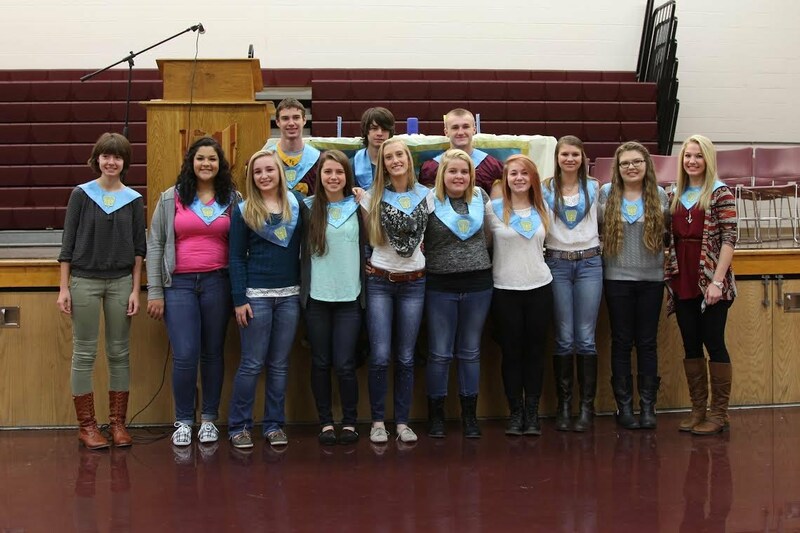 Congratulations to the new members of the Federal Hocking High School Chapter of the National Honor Society. New members were inducted on October 24, 2014. Members are inducted on the basis of leadership, scholarship, character and service. Again, congrats to Sonya Ferrier, Sydney Male, Jenna Kasler, Katlyn Young, Anna Gill, Sienna Hill, Matison Haggy, Chelsea Washburn, Lisa Snyder, Andrea Russell, Devon Robinson, Matt Hammer, and Devon Maxey.